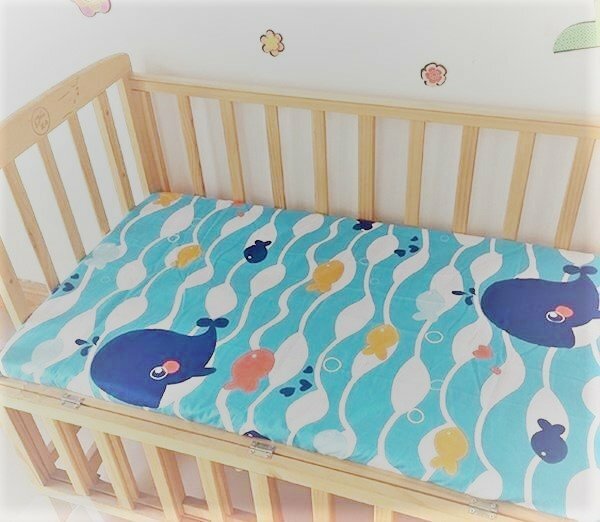 Friends, you can make your own crib sheets! They’re cute, easy and a simple way to redecorate a child’s room. AND they make great baby gifts. Spend a few hours with Jill and you’ll have a sheet or two ready to give to that special little one! 2 yd. piece of cotton or cotton flannel fabric, 44 - 45” wide, in a color or print that a baby deserves to rest their head upon. Thread and bobbin to match fabric. Personalized label if you like to put a lasting identifier into your finished project. Basic sewing supplies- machine, seam ripper, scissors, etc. Please pre-wash yardage to pre-shrink before cutting and sewing.